Presbyterian has worshipped. The first building, constructed in 1819, was on St.
Gallier Hall; the building to the left of Gallier Hall is Soule Commercial College. 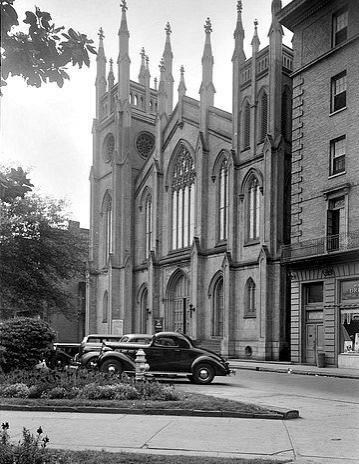 I believe this photo and the one below were taken in the 1930's. 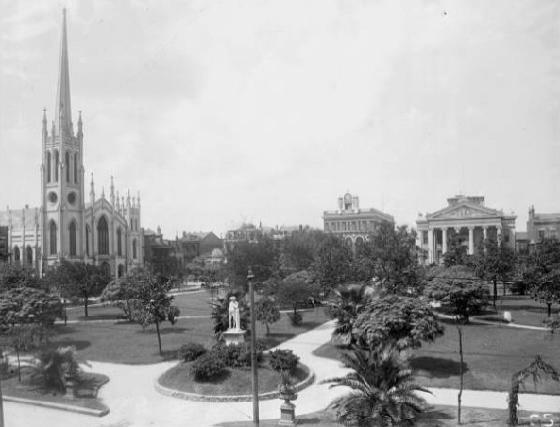 Another view of the church across Lafayette Square.